MANILA, Philippines — After drawing flak for cursing online bashers, Sen. Sherwin Gatchalian lamented that social media is now being used against public officials. In an interview with ANC's Headstart, the neophyte senator reiterated that he will not issue an apology to "paid individuals" designed to "bring out the worst" in him. "Sad to say the free market of the internet has now been used against public officials whether in media or in government service and this is the sad part because the internet is designed to come up with good ideas and good opinions but it’s also designed to ruin certain people," Gatchalian said Thursday. Gatchalian suggested that there should be a mechanism to monitor organizations funding online trolls to advance their own political agenda. The senator, however, noted that there cannot be a legislation that would regulate free speech. The senator is firm on his position and said that he does not regret cursing at online trolls using his personal Twitter account. "I don’t see the reason to delete it because again we’re talking to people who are organized and paid to attack you," Gatchalian said. He added that he wants to move forward by blocking or muting his bashers online. "We can engage one another in a healthy debate but when it’s a troll then I don’t see the reason of apologizing," he said. 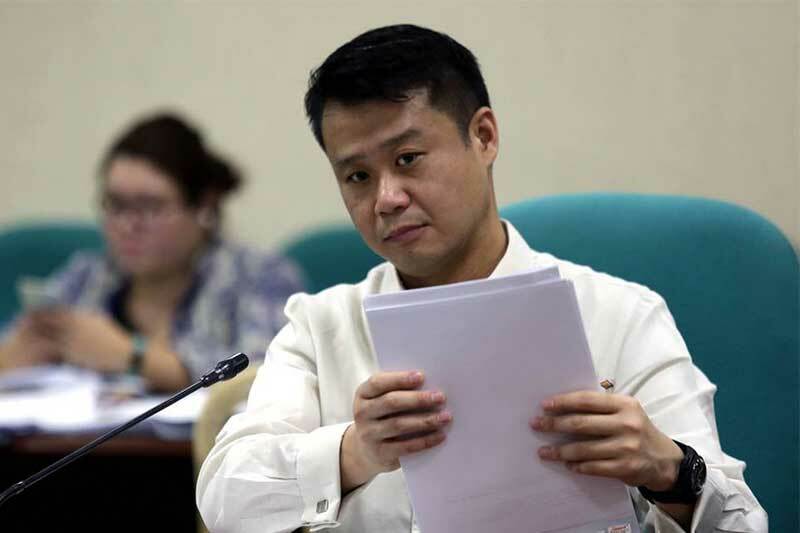 When asked what word ticked him after receiving criticism from social media for the past years that he has been in public office, Gatchalian said that "it was basically the lies" being thrown at him, particularly the word "balimbing" or turncoat. "For the record when I joined public service in 2001... I joined the [National People's Coalition] and still now I'm part of the NPC party from 2001 to 2017," he said. Gatchalian stressed that he cannot be called "balimbing" if he has stayed with only one party for the past 17 years. "This is obviously a lie and this type of organized group is designed to really bring out the worst in you by throwing lies, by throwing profanities," he said. Earlier this week, one Twitter user posted screenshots of Gatchalian's tweets in 2011 praising former President Benigno III and his tweets in 2017 where he was criticizing the Aquino administration.